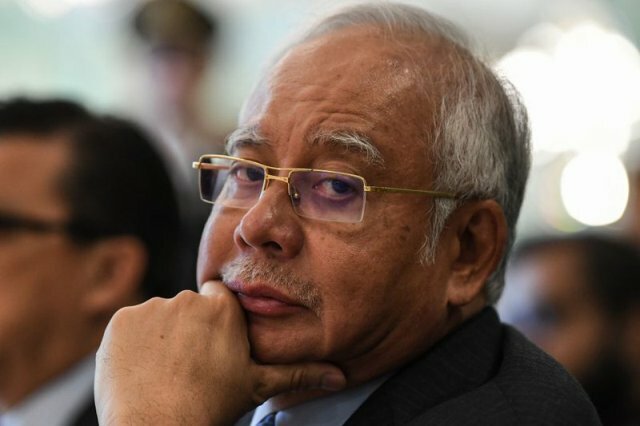 KUALA LUMPUR — The trial date of former prime minister Datuk Seri Najib Tun Razak, who was charged with three charges of having received RM42 million in proceeds from unlawful activities, three charges of criminal breach of trust (CBT) and one count of abuse of power over funds totalling RM42 million belonging to SRC International Sdn Bhd, will be fixed on Friday (August 10). High Court Judge Mohd Nazlan Mohd Ghazali also set the same date to hear a formal application of gag order restraining any public discussion of the merit of the case before the trial began. 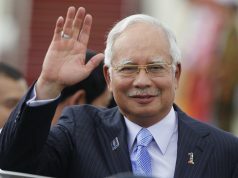 Mohd Nazlan also extended the interim gag order obtained by Najib during last proceeding on July 4 until this Friday. 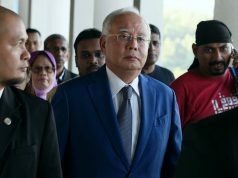 Najib’s lawyer Tan Sri Muhammad Shafee Abdullah informed the court yesterday that the defence and prosecution had submitted the submissions on the gag order to the court and both sides had exchanged the submissions and suggested to court to hear the matter this Friday. “But I am ready to hear submissions” said Justice Mohd Nazlan to which Muhammad Shafee replied Friday was appropriate time to hear as both parties could also reply to the submissions. The judge also granted the application by Deputy Public Prosecutor Manoj Kurup for the three charges on money laundering to be jointly tried with the other four cases. Mohd Nazlan extended the bail of RM1 million with two sureties on Najib in four others cases with three additional charges of money laundering upon a request from Manoj. Manoj said the charge under the Malaysian Anti-Corruption Commission Act and CBT charges were predicate of three charges of AMLA and it was involving the same witnesses and documents and asked all cases to be jointly tried and the bail of RM1 million also to be extended in additional charges. He also requested the court for a speedier trial and to fix the trial date in November this year. Muhammad Shafee agreed with Manoj for the case to be consolidated and on bail to be extended saying that “I must thank the prosecution to extend the bail”. However, Muhammad Shafee said the court should have fixed the date for case management first as the defence has yet to receive documents from the prosecution including Najib’s caution statement under Section 51A of the MACC Act. “We (the defence) send two letters to the prosecution to request for the documents, but we get nothing,” said Muhammad Shafee. Manoj replied that the trial should have been commenced within 90 days from the date of the case had been filed to which Muhammad Shafee countered that the 90 days was not a mandatory but was a directory and asked the court to fix the trial date after the defence received the documents from prosecution. 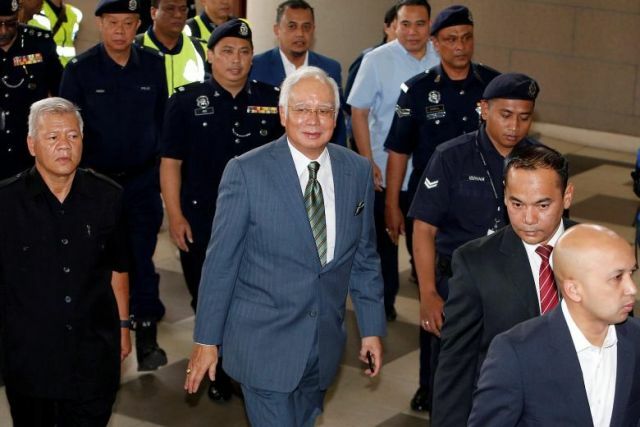 Earlier, Najib pleaded not guilty on four amended charges on CBT and abuse of power offences after the prosecution tendered the amended charges today. 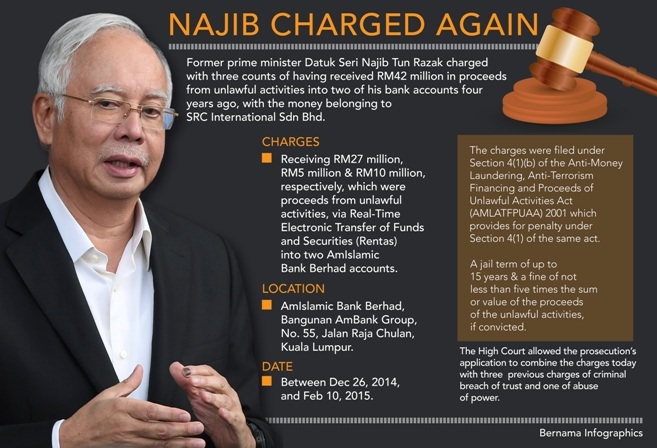 On the three money laundering charges, Najib is alleged to have received RM27 million, RM5 million and RM10 million, respectively, which were proceeds from unlawful activities, via Real Time Electronic Transfer of Funds and Securities (Rentas) into two AmIslamic Bank Berhad accounts of his bearing the numbers 2112022011880 and 2112022011906. Earlier Muhammad Shafee had raised his client’s concerned about the transfer of Justice Datuk Mohd Sufian Abd Razak who had previously heard Najib’s case to civil court as the parties in the case had not made the application for him to recuse himself from hearing the case. He said the defence did not question the ability of Mohd Nazlan to preside the case but rather the transfer of Mohd Sufian as it would raised questions on the administration of justice at the judiciary should remain independent. “We have no issue for Yang Arif to hear this case, we are very glad but our client and us are concerned about the process of transfer of the judge in the midst of a created controversy, purportedly of bias,” he said. Manoj replied that the transfer was an ordinary for judges.